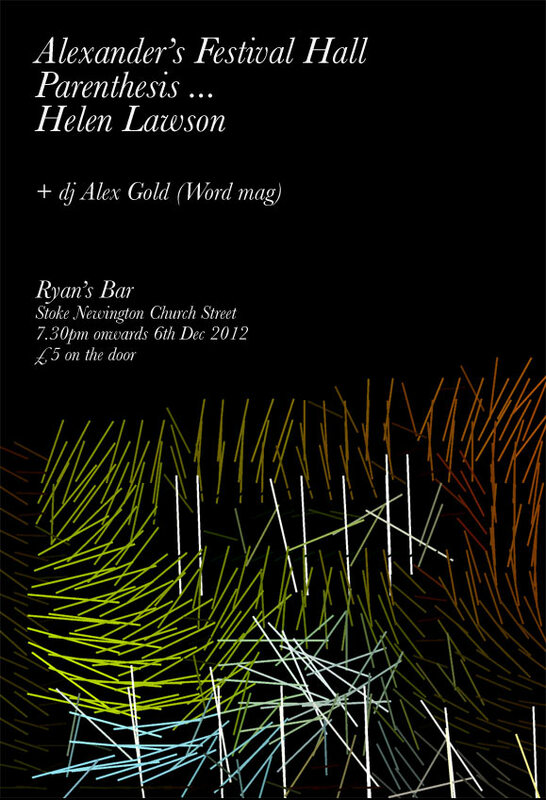 Next show: Xmas special at Ryan’s Bar 6th Dec! At the lovely Ryan’s Bar, Stoke Newington Church Street. Pop, pop and more pop. Swoonsome (it says here) pop from AFH, Dansk disco stylings from Parenthesis DotDotDot and delicate folk from Helen Lawson. Plus proper disk jockeying-for-your-attention from Alex Gold (Word mag).